The Songs are written by Polly Morris who has been likened to “The Flanders and Swann of our day, a cultural commentator with a bulge firmly in her cheek!” (David Gillard MBE – Daily Mail). They are gaining increased radio airplay across the country with the recent release of the 6th Polly Morris Studio Album. This is a band that you may well hear before you see them. 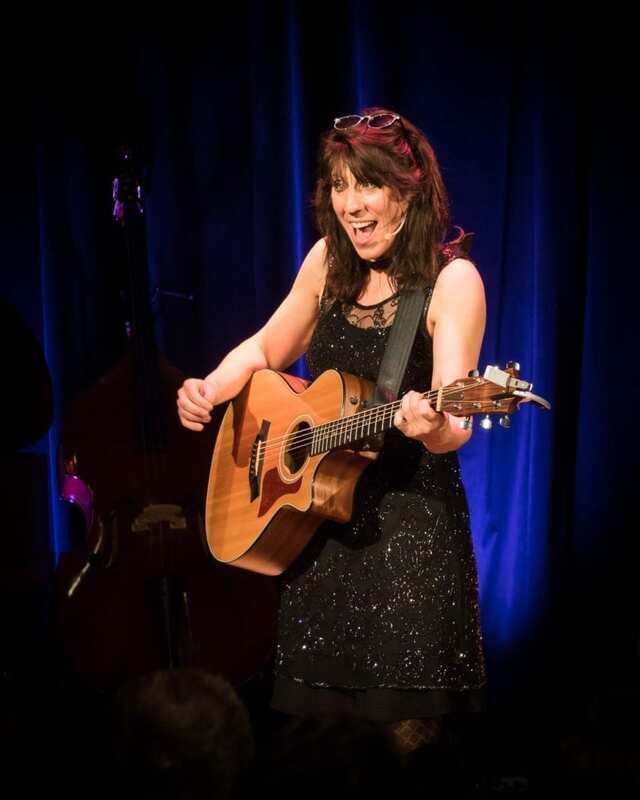 Polly has been performing her sons as a solo artist for many years but, in the last few years, she has been performing with her Dorset Based Musical Comedy Band, combining fun with musicality. This is music that is sure to make you smile. The Polly Morris Band comprises vocals, guitar, harmony vocals, fiddle, saxophone, flute, accordion, bass, double bass and piano. The musicians are Polly Morris, Mandy Stansfield, Steve Faulkner, Kate Hunter, Brian Harries and Joel Solomons.